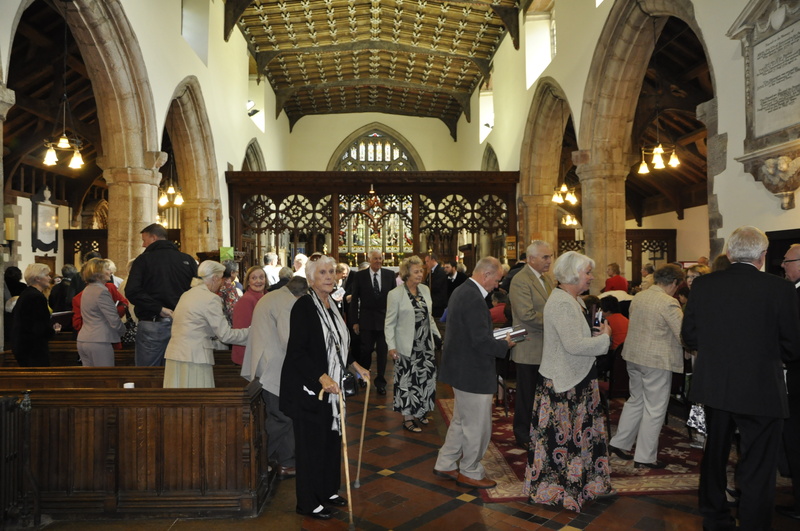 A thanksgiving service in the form of Communion to celebrate Rev Canon Roger Bird’s retirement and ministry of over 40 years took place in St Aelhiairn’s Church, Guilsfield on Sunday 31st August. Members from Guilsfield, Buttington and the combined Parishes of Llandrinio, Llandisilio, Criggion and Penrhos attended. The Service was conducted by Rev John Points and Rev Bethan Sccotford with lessons read by Mrs Sabrina Jones and Mrs Jean Jones and Intercessions by John Meason. Rev Hazel Stiibe N.S.M Buttington assisted with the Communion. The Organist was Mrs Joan Upton-Holder; some of Roger’s favourite hymns were sung by the congregation concluding with the recessional hymn ‘You shall go out with joy’. Trevor Trevor gave a fitting tribute speech and presentation on behalf of the Community and Maud Griffiths gave Roger and Barbara a Geum plant named Roger’s Rebellion to give them pleasure in their new garden. 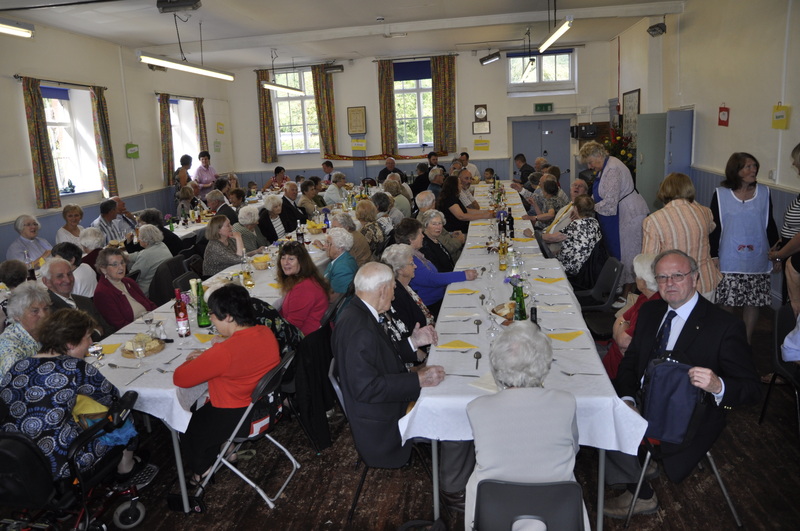 Following the service a lunch was prepared in the Old School which had been appropriately decorated! Many sweet peas (courtesy of David Moore) adorned the top table occupied by Roger, Barbara, their 3 sons Philip, David and Stephen, daughter in law Jenny and grandsons James, Dylan, Oliver and Joshua. Rev Bethan Scotford spoke of the help, guidance, support and encouragement she had received through the years from Roger. Under her guidance her choral group sang a version of the 123rd Psalm. The afternoon was concluded with a song composed by Mrs Joan Upton-Holder to the tune of ‘Dolly Gray’ a tribute to Roger’s standing in the community and ‘Claire Benediction’ which had been sung when celebrating Roger’s 40 years of ministry in 2013 – both of these being sung by the Church Choir. The Floral arrangements in both the Church and the Old School had been given by Mrs Val Wright and Mrs Jenni Steadman.